Like most kids in the ‘80s, Joe Brewer had at least a casual exposure to video games. 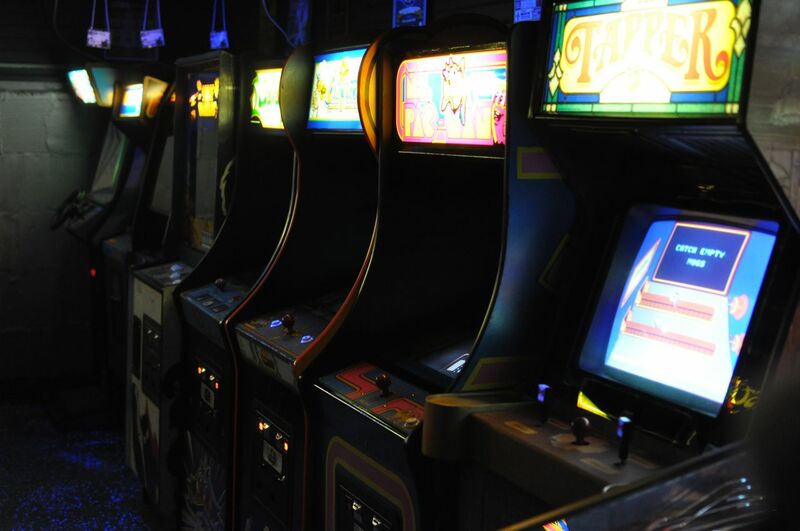 Though he does consider his time spent burning through a roll of quarters at the Golden Dome Arcade in Greenbelt, MD to be magical, he didn’t consider it to be life-changing. Even with all those hours in the arcade waiting for his mother to finish her work across the street, he never anticipated the games he was playing would be a part of his future. However, sometimes fate has other plans. That game, which gave him a brief roach infestation in his garage, would also open the doors to a new hobby and possibly a new addiction. Now contained in the basement of his 1919 bungalow, Ms. Pac Man has gained a few friends over the years – 20 of them to be precise. 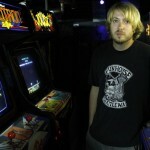 Brewer’s Arcade is the result of compulsive scouring of Craigslist mixed with the self-taught knowledge of how to repair the broken games Brewer finds during his searches along with a little bit of luck. Armed with a strict rule of never paying more than $250 for a game, Brewer’s Arcade has nonetheless been able to acquire some pretty incredible games including a $40 Robotron and a $100 Major Havoc, both home-use-only! 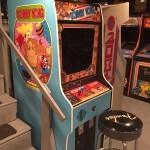 Not only did the collection of games in his basement take some time to perfect, so too did the actual gameroom. 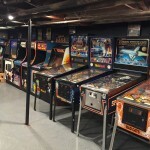 The room, which was formerly bare cinderblock walls, has been transformed over time to include new paint, blacklight-reactive epoxy floors, and 80’s ephemera including a vintage Dr. Pepper clock and original posters from the now-legendary Twin Galaxies arcade. As far as games go, Brewer’s favorite pinball machine is from his favorite movie series, Back to the Future, and his favorite arcade game is that same $40 Robotron he scored despite never having played it in his youth. 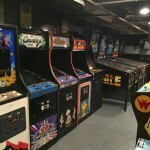 With all the work spent transforming his basement into a classic gameroom along with the actual pinball and arcade games inside, it’s easy to assume Brewer has spent a fortune on his hobby, but that’s not the case. The hunt has proven bountiful. Brewer’s Arcade has been featured in The Washington Post, and his Brewer’s Arcade YouTube channel boasts nearly 1,000 subscribers. 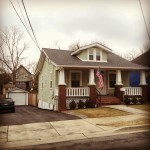 More importantly, however, are the experiences Brewer has gained from opening his home to his friends and neighbors in Mt. Ranier. 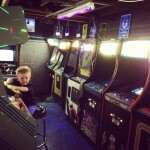 The reaction of surprise and shock visitors display upon seeing a full-blown arcade in a 100 year-old home perfectly mirrors the thoughts of the home’s owner who, as a kid, could never imagine his newfound bliss. If you would like your gameroom to be considered for a showcase on our site, please send an email with pictures and a brief description to gameroomjunkies@gmail.com . Also, if you’re a fan of our content, please consider making a donation to help keep the gears running! Back From the Dead – Gameroom Magazine Relaunches!